Chicago, IL is a bustling area offering many benefits to both residents and visitors. 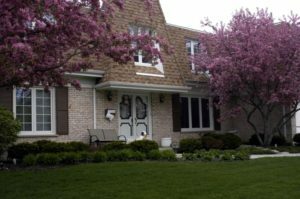 If you live in the greater Chicago area, you know there are many conveniences and services in the area. Whether you are looking for entertainment, home repairs, restaurants, or more, you can easily find the services you need. As a homeowner, you should be thinking about options to improve the quality of your property. Have you put in the time and investment to maintain the integrity of your property? Over the years, it is common for regular wear and tear to have a negative impact on the curb appeal and durability of the home. If you live in a home that needs a few updates, consider the benefits of replacement windows and doors. Here at Scientific Home Services Ltd, we specialize in the replacement window services you need. Our team is experienced in the industry and we can bring excellent installation services to your home. We are a family-owned business that has been around since 1928, offering the best quality windows in the Chicago area. It is a big decision to invest in repairs and upgrades for your home. If you are going to spend the money, then it makes sense to get it done right! Don’t settle for low-quality doors and windows that will need to be replaced again in the future. Instead, make the decision to choose quality products built to last. At Scientific Home Services Ltd, our goal is to provide top-notch replacement windows at a price you will love. You can depend on our team to deliver high-quality materials and excellent installation services. Whether you want to replace just a few windows or you are ready to upgrade the entire home, we are here to help! Instead of bringing in unproven contractors for the installation, we have employees that have many years of experience. Most of our team members have over ten years of experience with our company, giving you the peace of mind that your window installation project is in good hands. Why Do You Need New Doors and Windows? As you walk around your home, do your windows look like they are worn down and ready for replacement? Sometimes, a basic window inspection will show that you need to invest in upgrading the doors and windows. You might see broken glass, cracked frames, and other signs of wear and tear that have built up over the years. In other situations, you might think your windows look fine. Even if the glass looks all right at first glance, there are other unseen factors that might motivate you to replace the windows. For example, you might not see that the windows are leaking. Drafts make it difficult to manage the temperature in your home. Seal Off Your Living Space: Get rid of the drafts and seal off your home. As a result, you don’t have to worry about the HVAC system working overtime to compensate for leaky windows. Reduce Utility Bills: When your home is sealed, you will notice a difference in the amount you are paying for utility expenses. Energy efficient windows decrease the amount of energy necessary to maintain a comfortable climate inside. Increase Home Value: Do you know the value of your home? Consider the options that can help to boost your home value, so you can maximize equity to roll into the purchase of your next property. Protect Your Family: High-quality windows and doors are essential to maintaining a safe environment for your family. Talk to our team about the latest technology to secure windows and reduce the likelihood of unwanted entry into your home. Quiet Living Environment: It can be exhausting to listen to the neighborhood noises all day long. If you don’t want to hear the neighbors yelling, blasting music, or the cars driving by, try new windows. Better insulation will help to block out unwanted noises. It is easy to see why your family would benefit from new windows after they are installed! 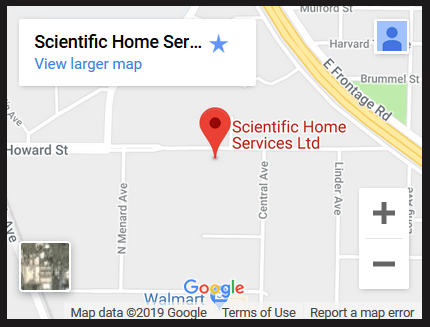 If you are ready to learn more about the options we have available, contact our team at Scientific Home Services Ltd for a free, no pressure in-home consultation. You are also invited to visit our showroom at 5639 W Howard St, Niles, IL 60714 to see the options we offer in person. Feel free to call anytime to request that free estimate for your replacement windows and doors project: (847) 752-0370.